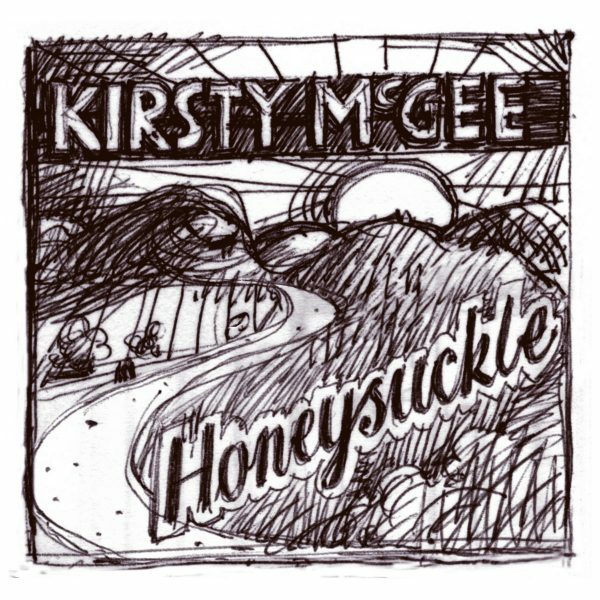 A reissue of Kirsty McGee’s 2002 debut album ‘Honeysuckle’ (originally released on Fellside Records) as a free download from Hobopop Recordings. Produced by John Wood (Nick Drake, John Martyn) and Clive Gregson, the album features performances from Boo Hewerdine and Neill MacColl and earned McGee the first of two BBC Radio 2 Folk Awards. Nine tracks from the original album are presented here, including ‘Bliss’, now re-recorded on McGee’s 2010 release ‘No.5’. Also included here is the bonus track ‘Little Things’, from the lost album of the same name she recorded for Ugly Man Records (Elbow, I Am Kloot, The Man From Del Monte) in 2000. The artwork is from a sketch for the original ‘Little Things’ cover art by Manchester artist Peter Seal.